The premise: A race from San Francisco to New York. Beat over 200 other drivers and the prize is yours. It’s one of the most clever and put-together editions of the NFS franchise. There’s an endless selection of cars to choose from and the scenery is pure badass, Undertaker “dead man walking” badass. The story begins in dramatic fashion instantly. It’s much like watching some modern gangster movie. Protagonist Jack Rourke is hounded by the mob and left to die at a junkyard in Oakland? My man Jack is from the Bay?! Of course, this means he’s with the business, side-showing, hitting doughnuts, and ghost riding the whip. The race doesn’t start in Oakland, but it is nice to see my hometown in the East Bay getting some love. Starting in the busy streets of downtown San Francisco, Rourke must escape the police, get out of the city, and pass some drivers along the way. It's non-stop action right from the jump. Hey look, it’s the Bay Bridge! Check it out, a BART train! Weaving in and out of traffic is intense and will keep you on the edge of your seat. EA Black Box did a tremendous, almost flawless, job with the impact engine and graphics design. There has been a particular gripe by other critics that the race gets stagnant and boring at times, especially between Las Vegas and Chicago. But that’s what The Run and, needless to say, the United States is about. Sorry, Midwest, it’s not boring in middle U.S., but it is open and at times very empty. The scenery is still gorgeous and the race remains in full motion. Still, what could you realistically want in the middle of Missouri? Tickets to a Chiefs game? It is too much to say that not appreciating the half of the America landscape is unpatriotic? 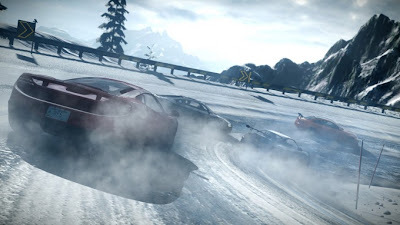 Story mode, eponymously named The Run, does get unexciting at times, not in the case of racing cars but when it comes to watching certain cut-scenes as Jack progresses through the race. “Meet your rival such and such. His main motivation for the race is to take Jack out... permanently." Talk about cheesy. Sure, it's dramatic and it's supposed to keep you interested in Jack's personal struggle, but the idea of getting out of the car isn't a good one. It's meant to some fresh air, away from vehicular chaos. But as a player, it makes me feel disconnected and uninterested.